Roger Federer's new 2012 Wilson BLX tennis racquet? 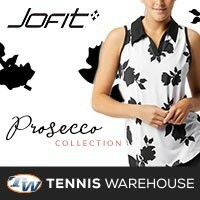 You are here: Home / Tennis Equipment / New Wilson racquet for 2012? New Wilson racquet for 2012? 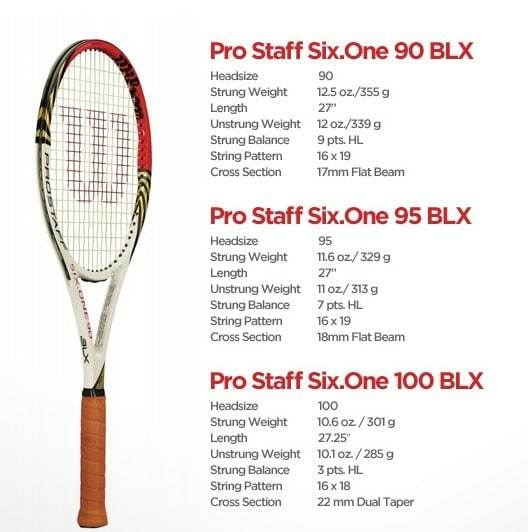 Click here to enter to win a brand new 2012 Wilson ProStaff Six.One 90, 95, 100 tennis racquet! 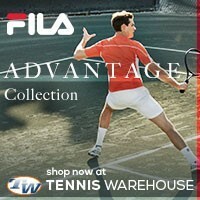 I’m sure you’ve already heard all the buzz about a new tennis racquet coming from Wilson in 2012. 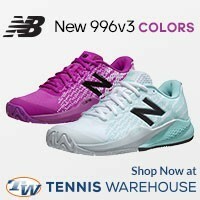 I cannot confirm this yet; however, there have been reports that the new model could be used by the great Roger Federer. 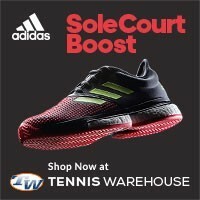 Currently, Federer uses Wilson’s BLX SixOne Tour (just so happens to be on sale now for $149, coincidence?). The new Wilson tennis racket coming out, I have heard, has secured the name ProStaff Six.One BLX 90. This also looks like a Federer signature series tennis racquet, so it’s up to you to determine if it’s the new frame Roger will carry in 2012. I guess I’ll just have to wait for this racquet to be released by Wilson and I’m sure most other manufactuers will be releasing new tennis equipment at the end of the year; it’s time for Head, Prince, and Babolat to put out some new frames. 2012 is a year Wilson chose to keep the same production specs to save money and merely put some “lip stick on the pig”. Prettier? maybe, new racket? no way. From what I’ve heard, Wilson will be doing more than just a “lip stick/paint job,” apparently the grips will come with customization features. There is also going to be some new technology but Wilson will keep some of the BLX technologies. I’m looking forward to play testing the BLX Six.One! The newly proposed Wilson PS 6.1 90 for 2012 is very dissapointing; looks like the same racket, same specs, just a new paint job. We’re a little more sophistiacted than that.